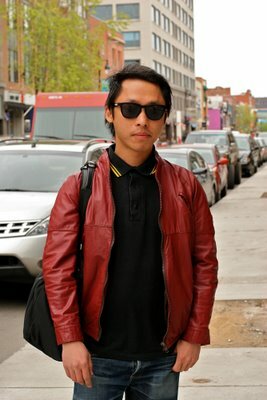 "I guess my style is 60s influenced....50s and 60s influenced. 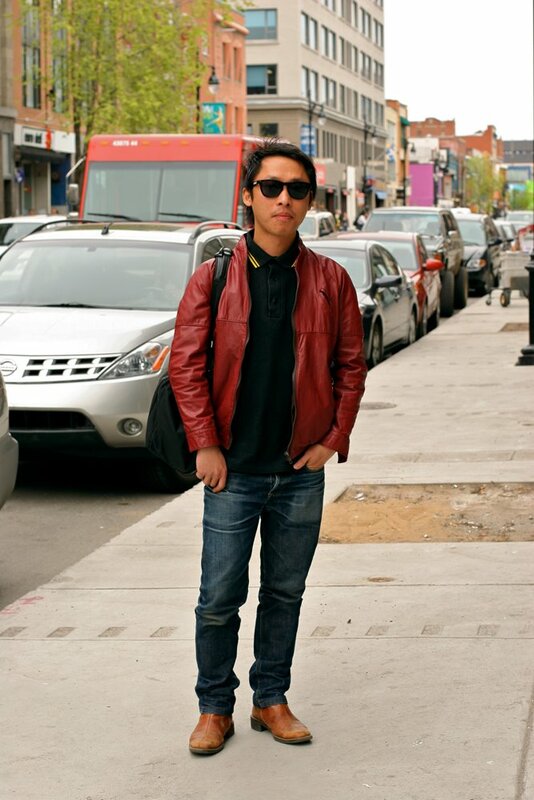 I love vintage and like everyone else mix it with designer pieces, whenever I can afford it." The wayfarers and that buttoned polo shirt are a nod to the 60s via the lens of the 1980s, he looks so very sharp. Also! His red leather jacket adds an extra something. 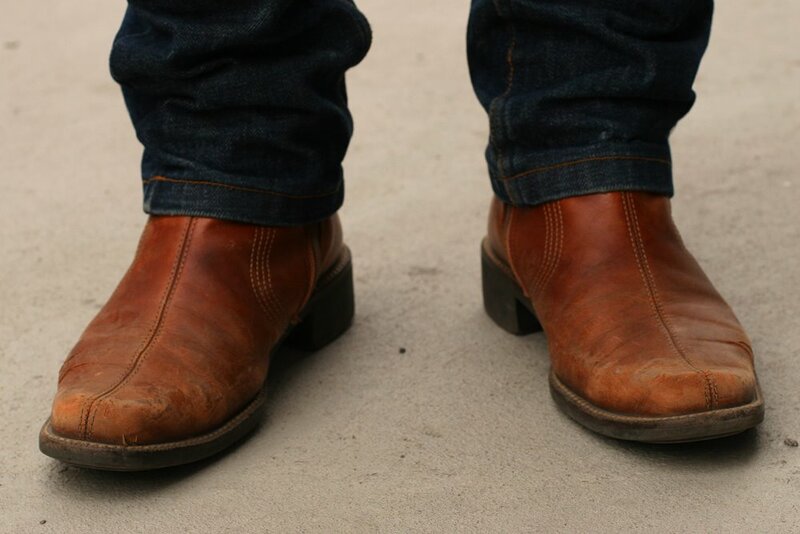 A look at his boots. I was just recently down at a number of indie- punkish socal concerts and ALLL the cool kids wore leather jackets. this one is yummy though that red looks pretty appetizing.